A quality insurance agency is known for the companies with which it is associated. The company we keep is dedicated to providing you the best coverage at the best rates and Glandon Insurance is devoted to saving your business thousands of dollars each year with these comprehensive plans. For over twenty three years, Glandon Insurance has provided coverage to mid-Atlantic businesses through some of the top providers of health, dental, life and disability insurance. And now we are pleased to offer property and casualty coverage for businesses and individuals. 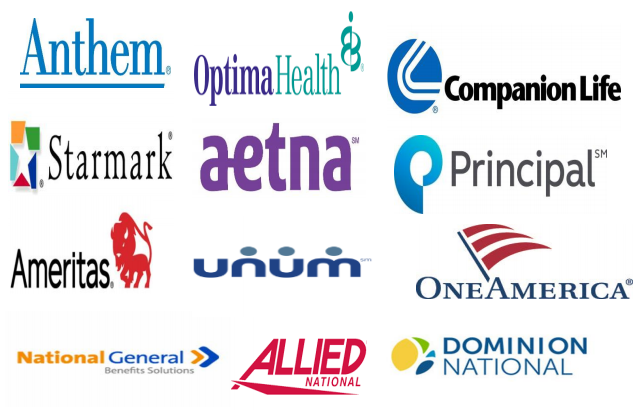 Aetna – Aetna is a national leader of health, dental, life and disability products. Allied National – Allied National is one of the nation’s oldest and most experienced third party administrators. We strive to be the first choice for self-funded group health benefit products for small and mid-sized employers. Ameritas – The group division of Ameritas Life Insurance Corp. has served customers since 1959. Today, Ameritas issues and administers dental, vision, hearing, and student loan repayment plans for more than 7.47 million people and more than 390,000 employer groups nationwide. Assurant – Assurant Health offers a diverse portfolio of products and services to both individuals and groups. Colonial Life – Offering a broad range of benefit options so you can provide your employees the added financial protection they need while managing your benefit costs. CIGNA – a global health insurance service company offering health, life, accident, dental insurance and related health services to individuals and businesses. National General – National General Benefit Solutions (NGBS) is focused on providing innovative employee benefits solutions to small-and mid-sized businesses. The National General program simplifies self-funding—giving employers the opportunity to provide quality health care benefits to their employees while lowering their overall cost. One America – A national leader in the insurance and financial services marketplace for 140 years, the companies of OneAmerica help customers build and protect their financial futures. OneAmerica offers a variety of products and services to serve the financial needs of their policyholders and customers, including group life and disability benefit plan products. Optima Health – Optima Health offers a broad spectrum of innovative products and service solutions designed for employers, employees and their families. Principal – Principal provides group life, dental, disability, vision and critical illness management expertise. Starmark – Starmark’s self funded plans offer small to mid-sized companies flexibility, control and value. United Concordia – award-winning service, thoughtfully-designed plans and large, nationwide dentist network offer unmatched value to you and your family.